It’s been a tough decade for believing Catholics. In April 2005, we lost our finest philosopher to death. In February 2013, we lost our finest theologian to retirement. In October 2014, we suffered the scandals of the Extraordinary Synod on the Family, and in October 2015, we suffered the confusion of the Ordinary Synod on the Family. The revelation that various bishops, particularly from the West, believe and promote novelties has shaken the faith of Catholics in the fidelity of the episcopate to the teachings of Christ. We need assurances that the scholarship, orthodoxy and fidelity we treasured in John Paul II and Benedict XVI may still be found among our chief shepherds. We have this assurance in a book-length interview of African Robert Cardinal Sarah with journalist Nicolas Diat. God or Nothing: A Conversation on Faith, translated from the original French by Michael J. Miller, proves that classical scholarship, orthodoxy and fidelity to doctrine can be found among the African prelates. 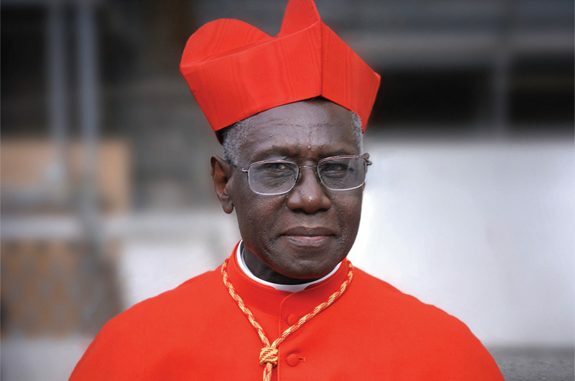 Although I am sure Cardinal Sarah would prefer to retire to a Benedictine monastery, I cannot help but ponder what a great pope he would make. The first chapters of God or Nothing read like an adventure story with theology deftly woven in. The American reader, saddened by decades of hearing that pre-conciliar Christian missionaries were opportunistic stooges of colonialism, will be astonished and delighted by Cardinal Sarah’s gratitude for the Holy Ghost Fathers who evangelized his remote village in Northern Guinea. I had quite a shock when, after a fascinating exploration of the religion of his ancestors, Cardinal Sarah explained what its limitations were and how Christianity brought liberation from pagan fears to his ethnic group. Cardinal Sarah’s adventure begins in his village of Ourous, where his devotion caught the attention of the Holy Ghost Fathers who encouraged him to enter the minor seminary—at age eleven—in Ivory Coast. It continues through the turbulent years of the Marxist dictatorship of Sékou Touré, Sarah’s ordination and European education and his episcopacy to his eventual posting to Rome. Throughout the exciting saga Cardinal Sarah cites his love and gratitude for his parents, teachers, bishops and God. He is a man thoroughly amazed by and grateful for God’s plan for his life, even while recalling suffering and loss. The biographical section is a page-turner; the real theological nitty-gritty fills subsequent chapters. Although beautifully clear, these chapters deserve slow and careful reading, pencil and highlighter in hand. There is something delightful and thought-provoking on every page. 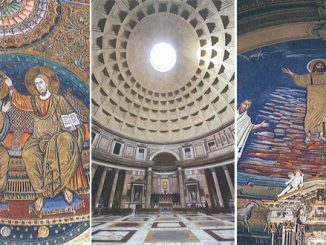 There are references to a host of great thinkers, saints, and scholars: Aristotle, St. Augustine, St Teresa of Avila, St John of the Cross, St. John Vianney, Léon Bloy, Simone Weil, Bl. Paul VI, Thomas Merton, St John Paul II, Mother Teresa of Calcutta, Benedict XVI and Pope Francis are just a few of those from whom Cardinal Sarah draws inspiration. A tribute to the Cardinal’s French-African education, even Charles Baudelaire gets a mention. Last December  Reinhard Cardinal Marx, president of the German Bishops’ Conference, said: “Throughout the world, the search for a theologically responsible and pastorally appropriate way of assisting Catholics who are divorced or divorced and civilly remarried is one of the urgent challenges for pastoral ministry to families and married couples in the context of evangelization.” What is your viewpoint on this subject, which figured among the questions at the last synod in October 2014? I have a lot of respect for Reinhard Cardinal Marx. But this very general statement seems to me to be the expression of mere ideology that they want to impose hastily on the whole Church. In my experience, specifically after twenty-three years as archbishop of Conakry and nine years as secretary of the Congregation for the Evangelization of Peoples, the question of “Catholics who are divorced or divorced and civilly remarried” is not an urgent challenge for the Church of Africa or Asia. On the contrary, this is an obsession of some Western Churches that want to impose so-called “theologically responsible and pastorally appropriate” solutions that radically contradict the teaching of Jesus and of the Church’s Magisterium. All the major crises of the recent decade, including clerical pedophilia and liturgical disarray, are brought into conversation. However, Cardinal Sarah’s central message seems to be the overwhelming importance of contemplative prayer. Again and again, he returns to this subject. His deliberations end with a reflection on St Augustine’s search for God, and it occurs to me that in his love for the piety of his African village and his vast scholarship, Cardinal Sarah may be a new Augustine, an African voice with a message for the whole Church. Dorothy Cummings McLean is a Canadian writer living abroad. Her first novel with Ignatius Press is Ceremony of Innocence. She is a regular writer for LifeSiteNews.com. Her first book, Seraphic Singles: How I Learned to Stop Worrying and Love the Single Life, is a popular work of nonfiction. Paul Ryan: Faithful Catholic or Ayn Rand disciple?